First published in 1999, this edition of Walter the Chancellor’s account of the wars of the Antiochenes against the Muslims in the early twelfth century is a vivid first-hand account of a dramatic yet less well-known period in the history of the northern Crusader states, and an important balance to the more usual focus on Jerusalem. 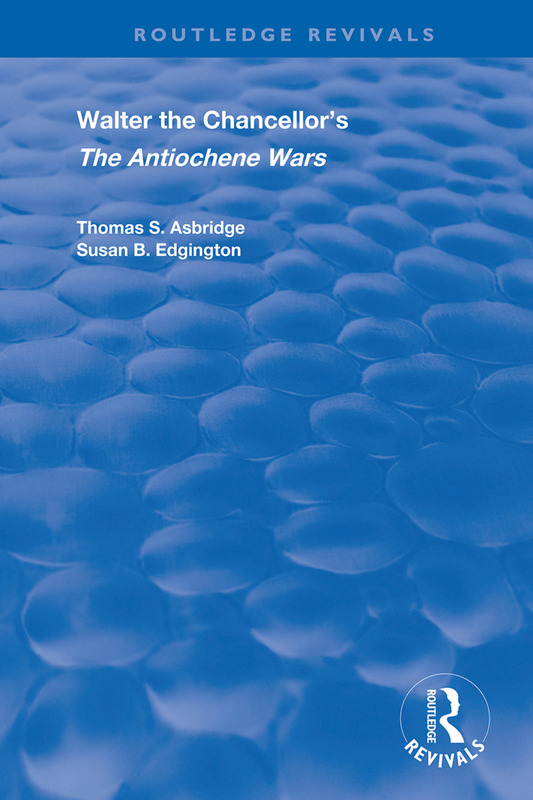 As a highly-placed Antiochene official, Walter was able to write the most authoritative account of the principality's fortunes and internal workings, and his book also sheds light on the relationship between Latin settlement in the Levant and contemporary Western perceptions of Islam and Eastern Christianity. Here it has for the first time been translated into English (from the Latin edition of H. Hagenmeyer). It is prefaced by a substantial introduction, discussing the author and his work in the context of the history and historiography of the Latin settlement, and is followed by a selection of comparative sources. Walter the Chancellor’s history will be of interest both to students of the Crusades and to a wider readership for its perspective on life in a medieval frontier society.